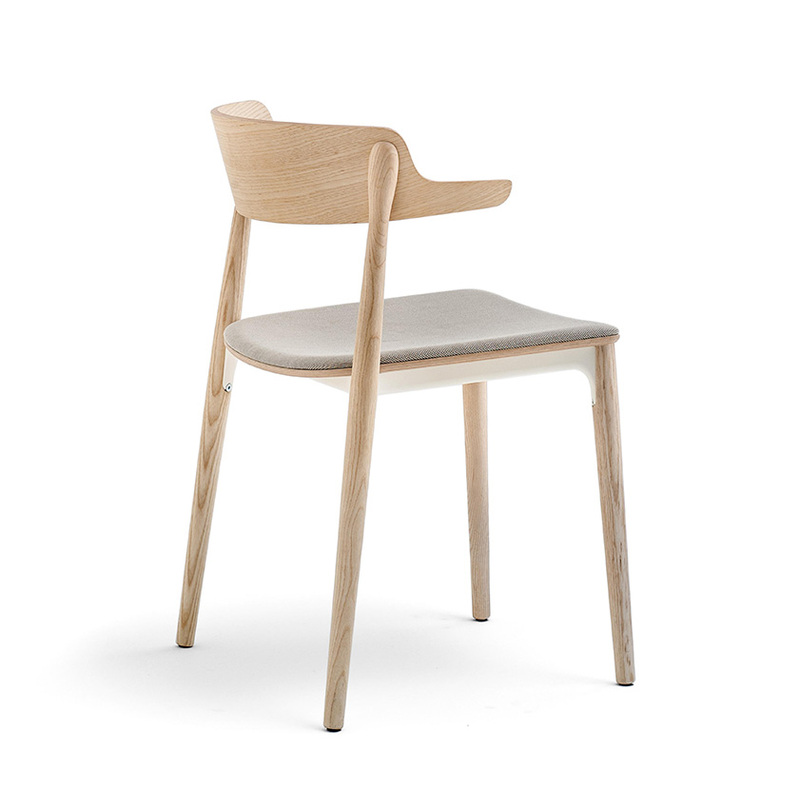 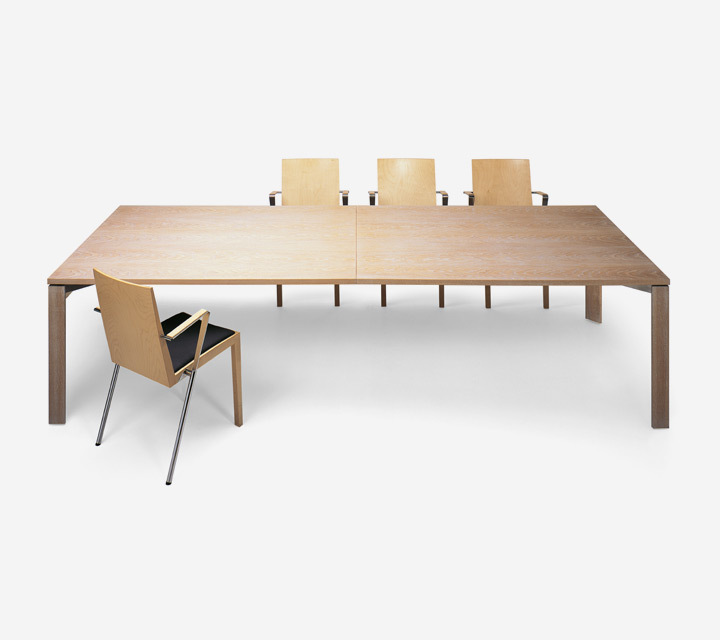 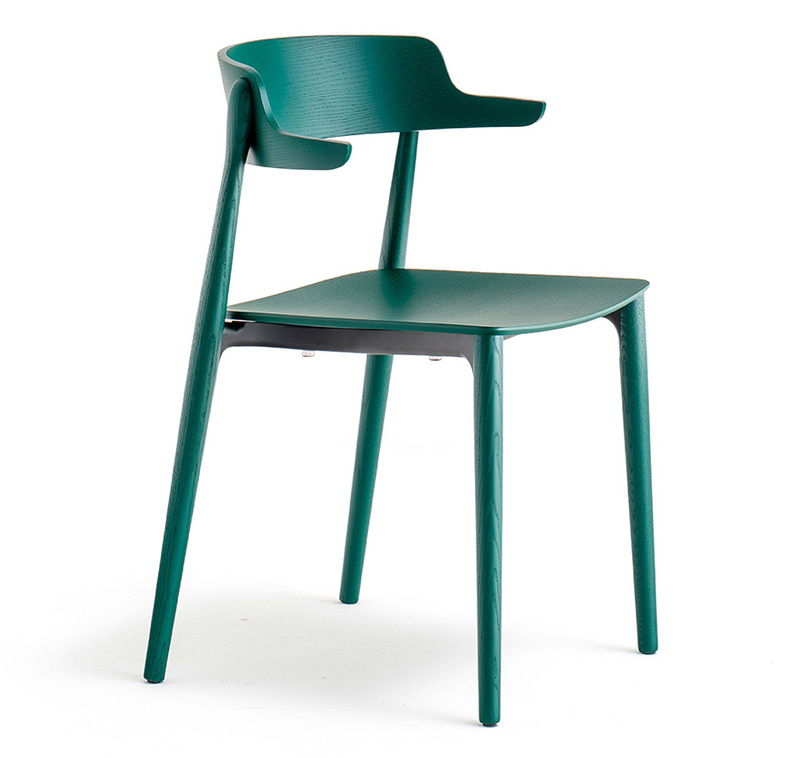 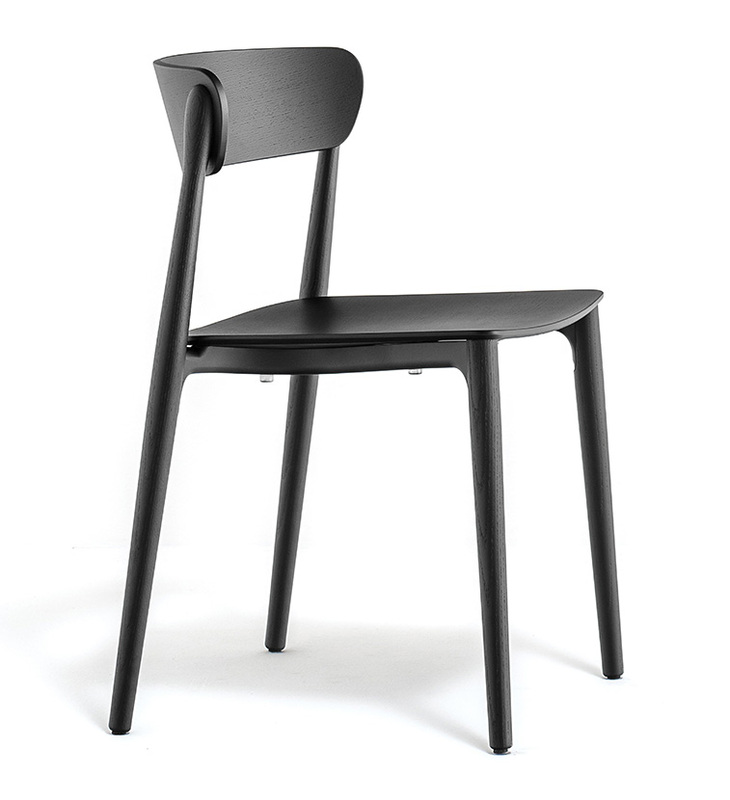 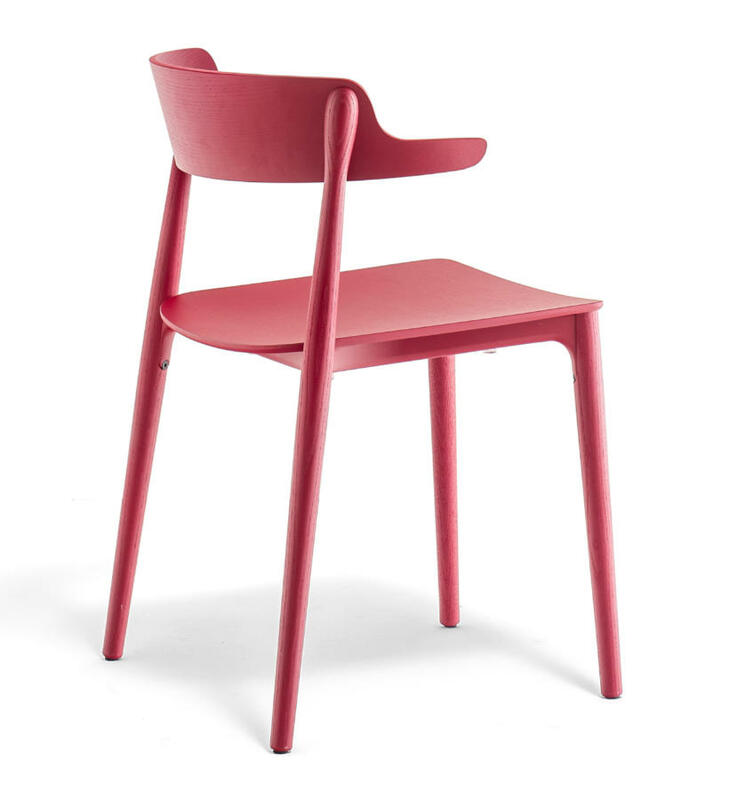 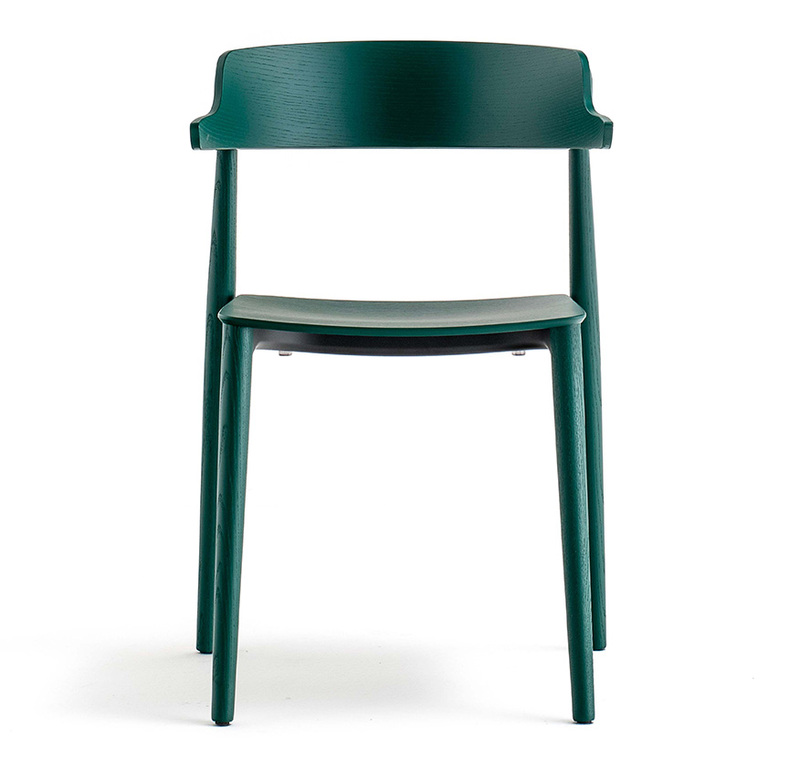 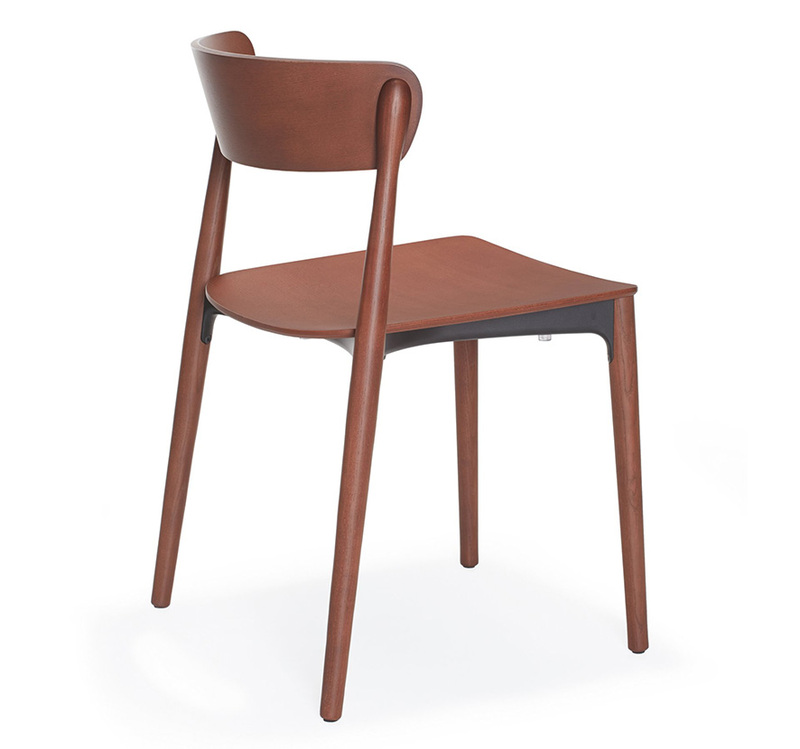 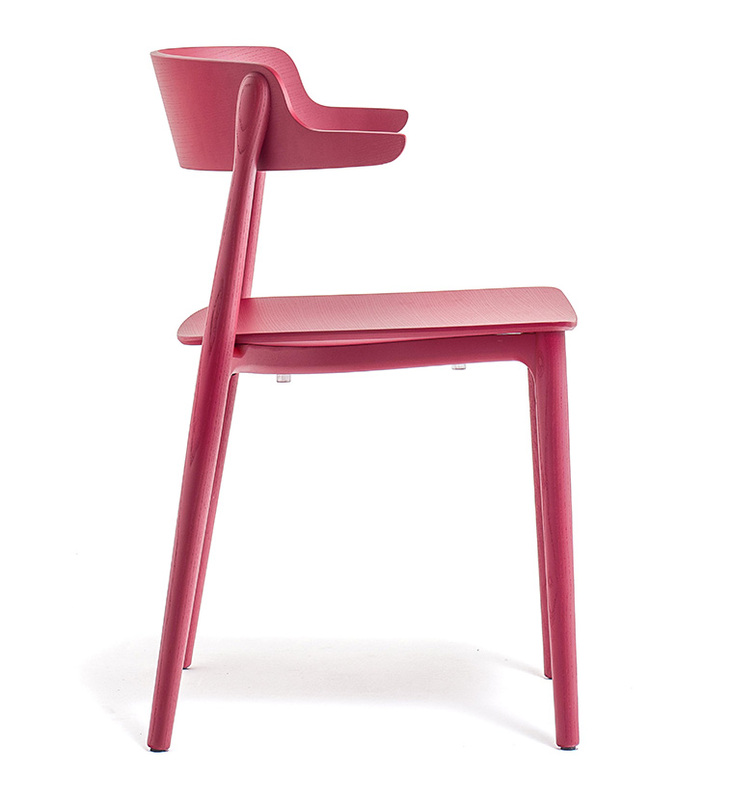 Nemea is a collection of classically-shaped chairs, whose visible, light structural elements seem to be smoothed by time. 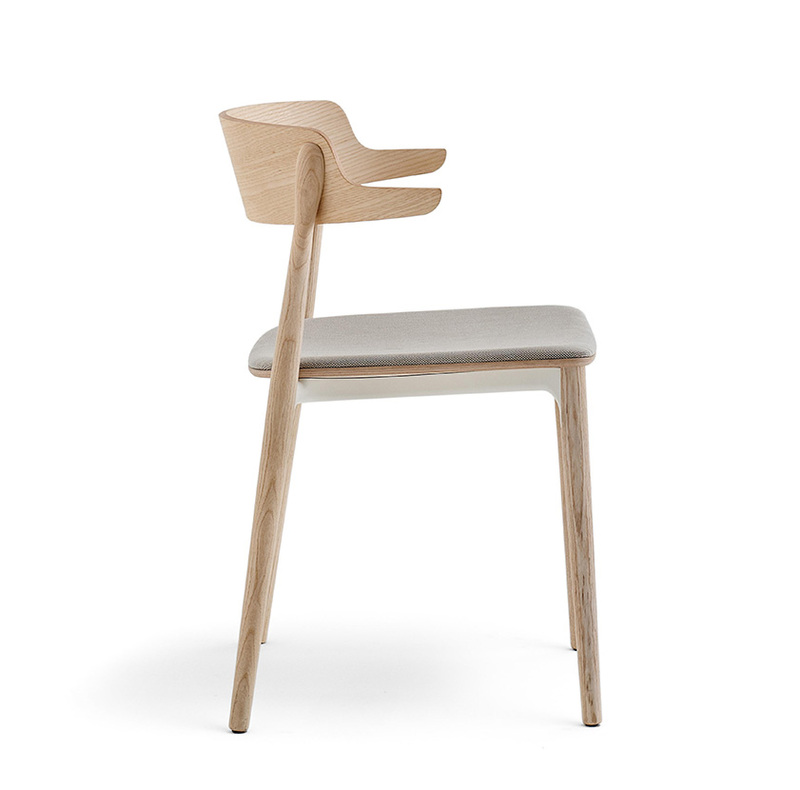 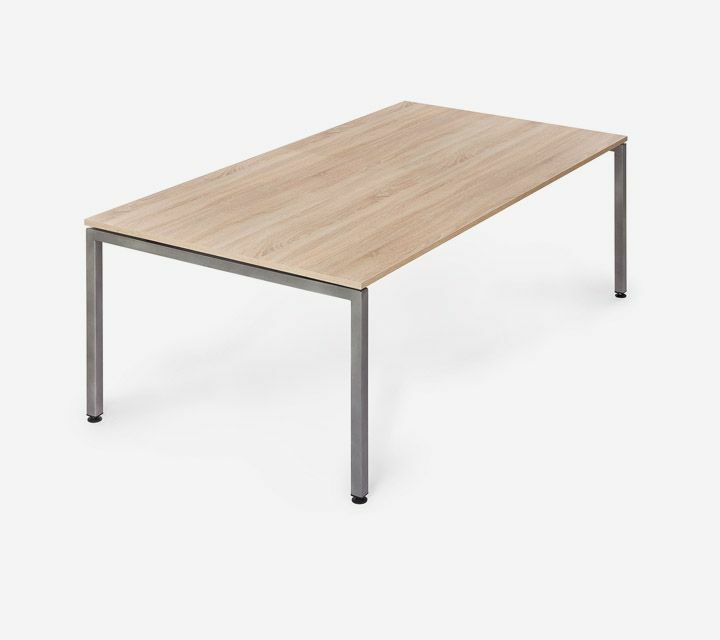 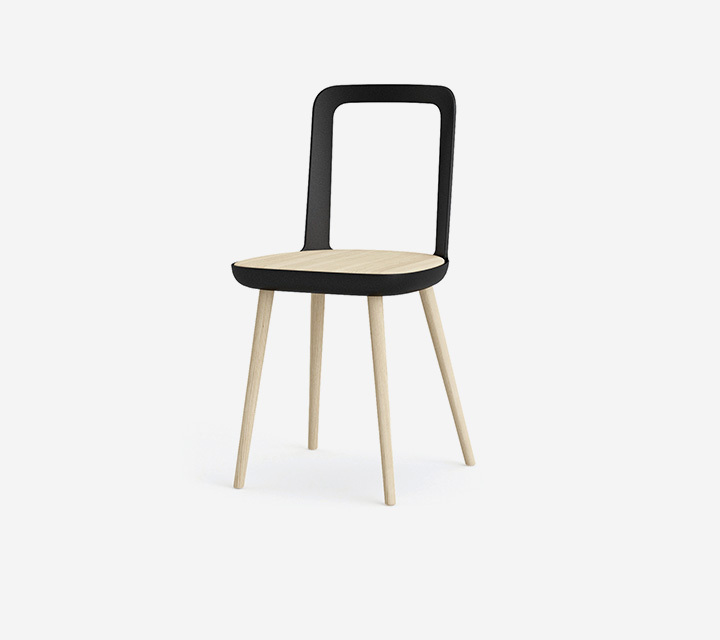 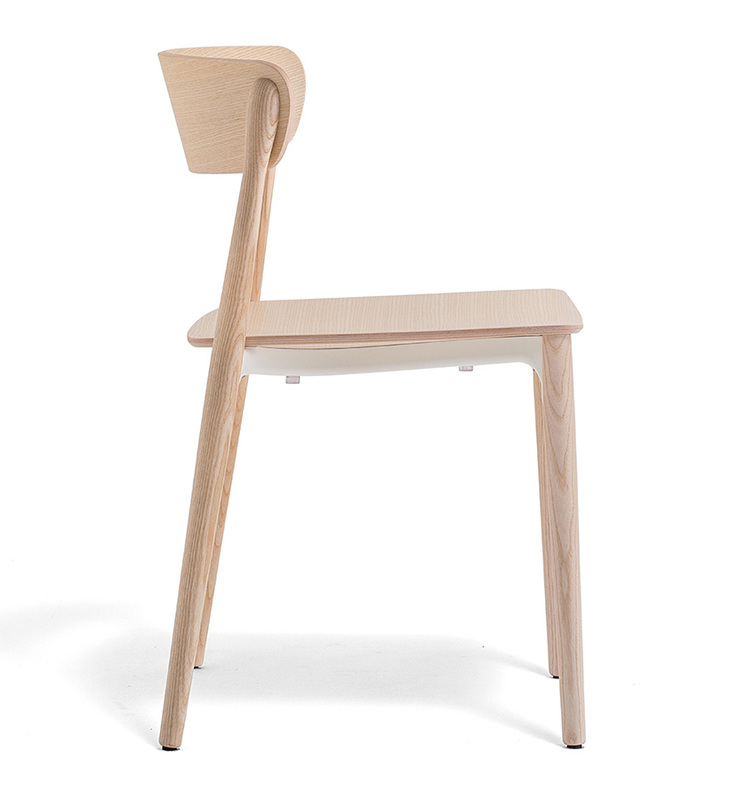 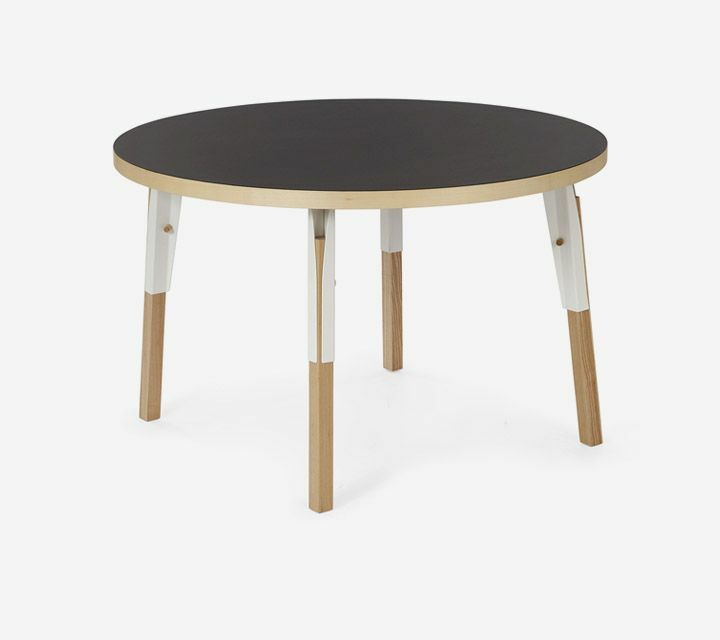 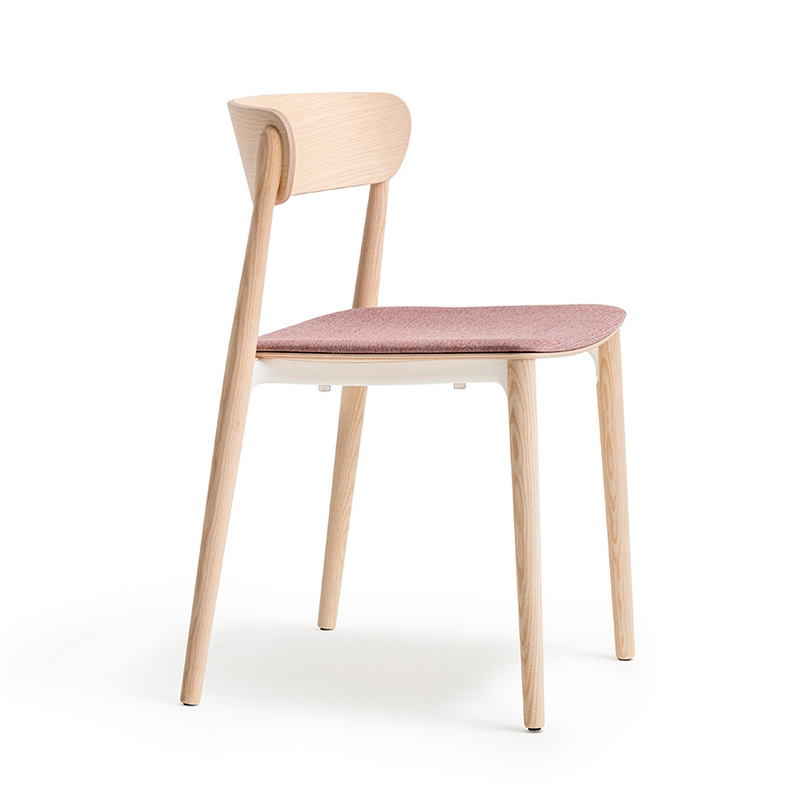 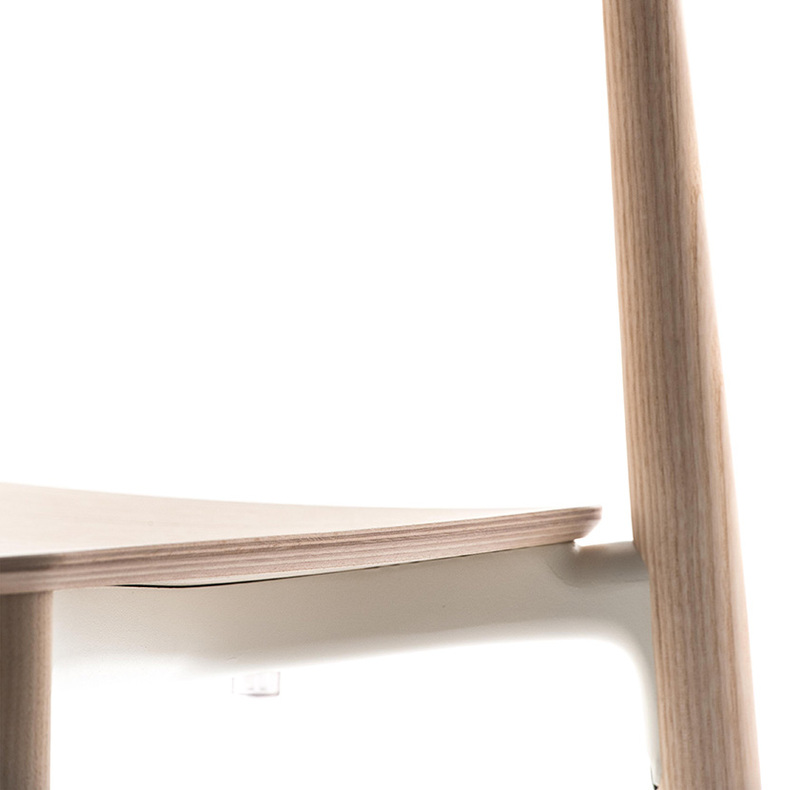 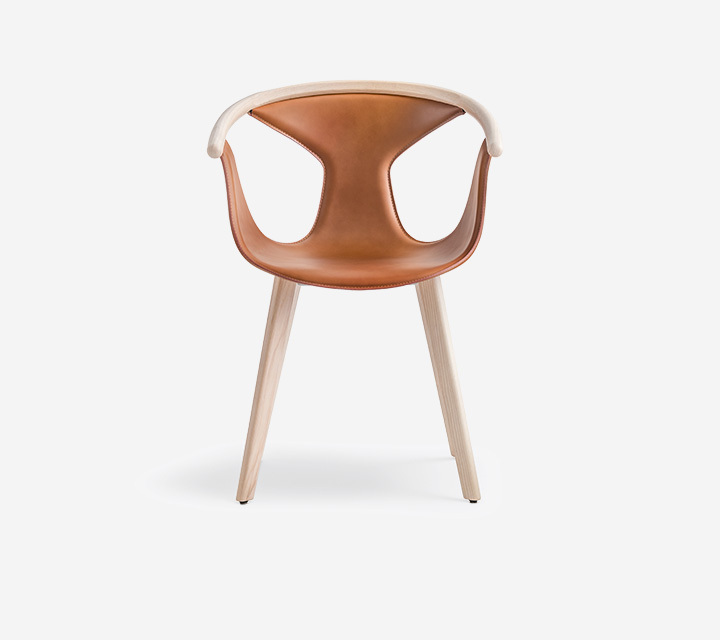 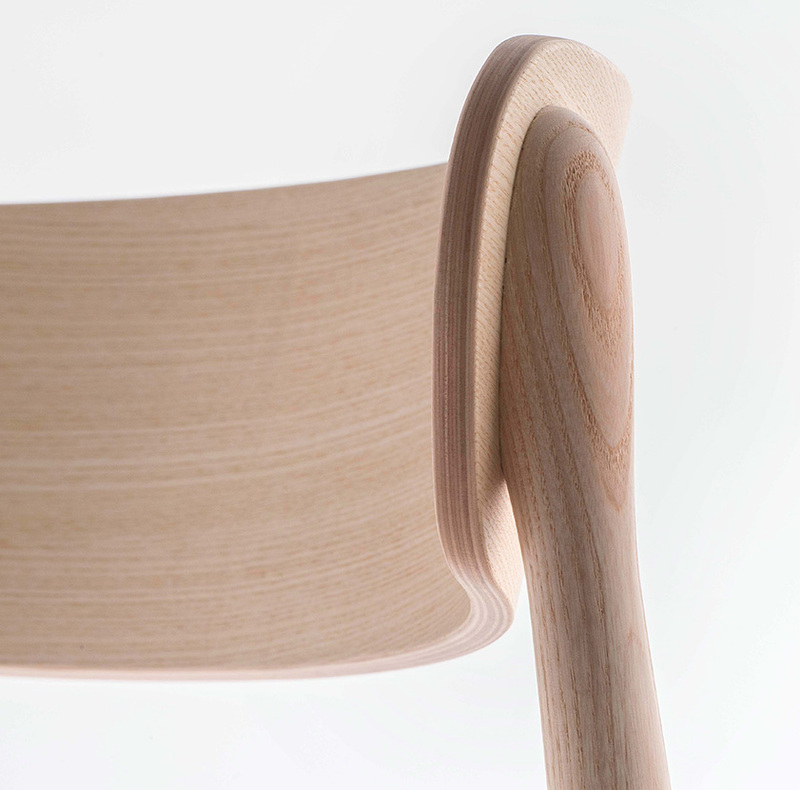 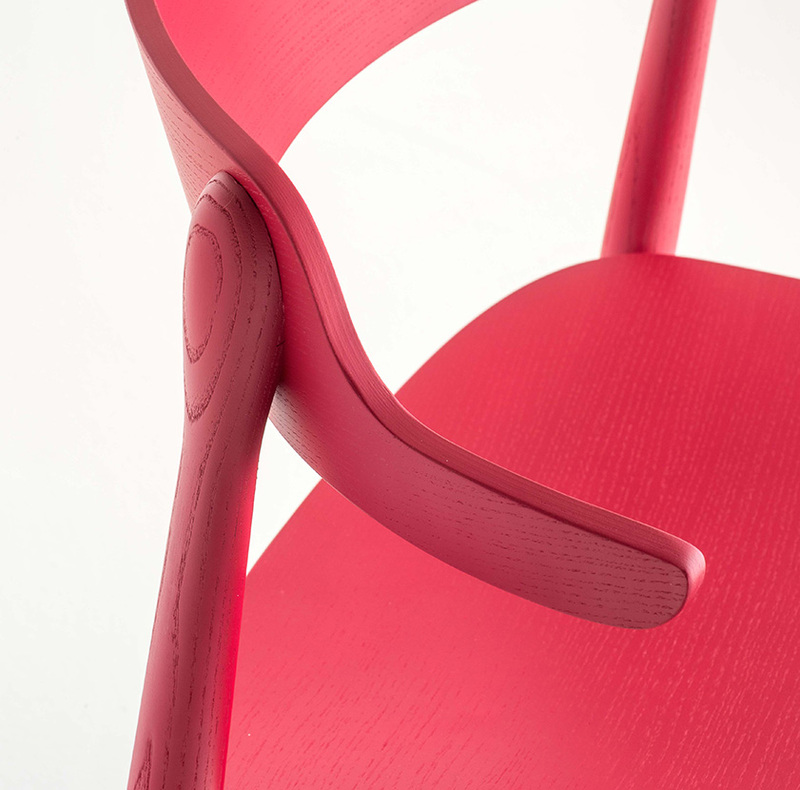 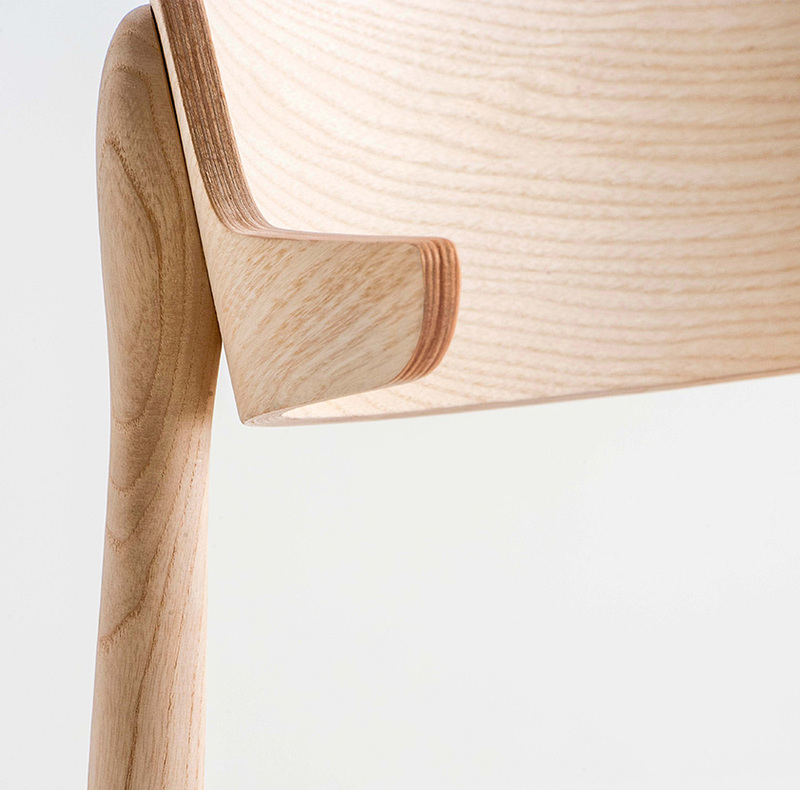 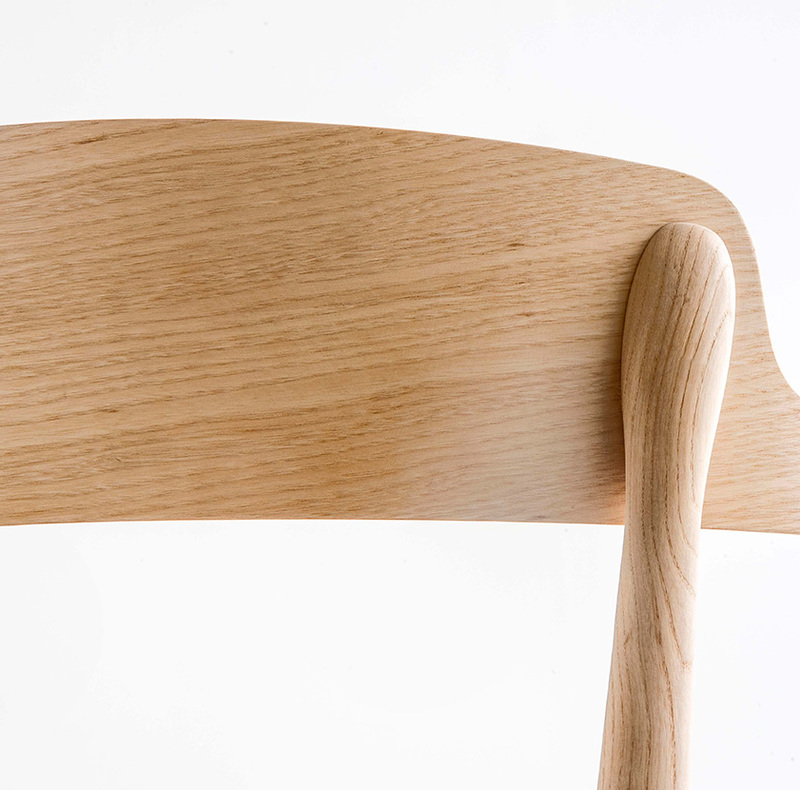 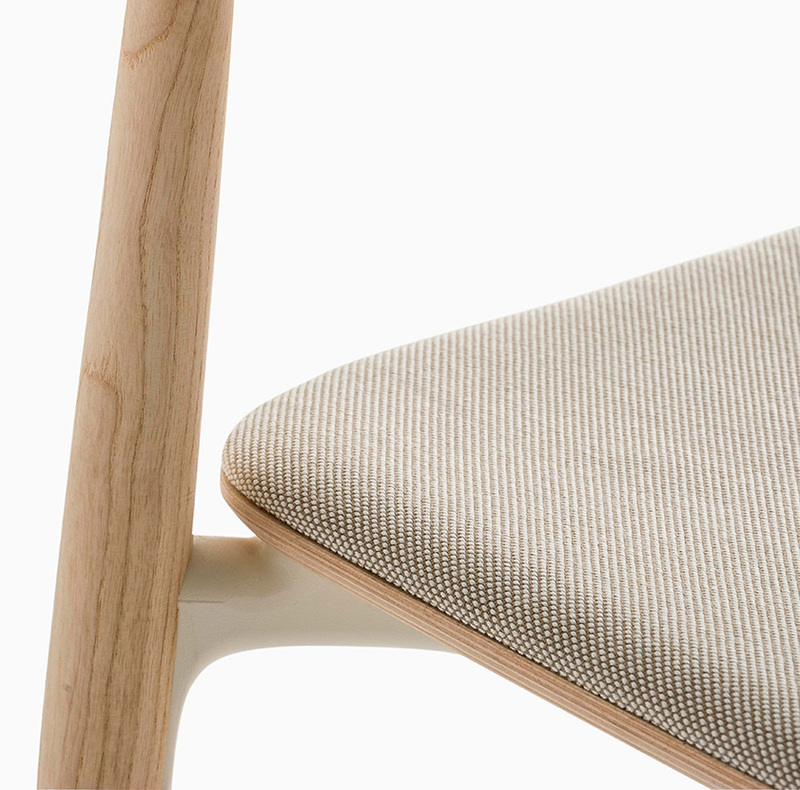 The chair seems to extend into an athletic pose, with its sinuous legs in solid ash grafted to the die-cast aluminium frame placed under the plywood seat. 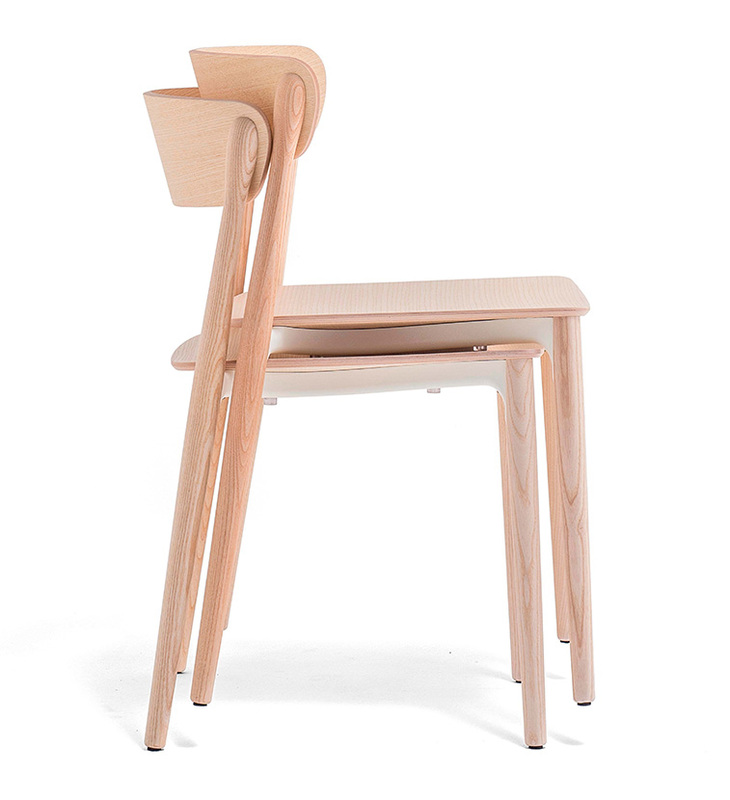 The armless version is stackable.